As a returning sophomore looking back on last year, it’s pretty apparent the biggest selling point of Boston University, and the biggest obstacle, was Boston itself. The city is amazing and beautiful, but arriving at school not knowing many people in a big city can get a little overwhelming. Staying on track with school, making friends and conquering the city seems like a lot, but it’s nothing to worry about with a few friendly tricks and tips. At the start of the year everyone is looking for a few friends to explore with. As scary as it seems to find your people, don’t be afraid to just ask a few people on your floor to go out and get lunch somewhere with you. There’s so many cool (and affordable) spots to hit up in Boston so join a club or talk to the people with you in class. Everyone’s dying for a chance to make new friends. Boston can get super overwhelming, so don’t feel like you need to cram in a bunch of activities and run around. Boston is always here for you, and while there’s so much to do — exploring the Museum of Fine Arts, taking a walk around the Public Garden, or shopping on Newbury Street — everything can wait. 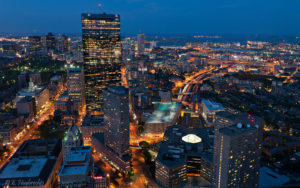 Boston’s a lot to take in so make sure you enjoy it instead of making yourself crazy with a jam-packed schedule of things to do. At the end of the day, we are all here to go to school. That doesn’t mean Boston isn’t your home, but it does mean that you need to make a schedule of how to balance your personal health, school work, social life, club or sport involvement, and anything else you have on your plate. It seems like a lot, but there’s ways around everything. Go study in the Boston Public Library once a week and there you have it — you’re exploring Boston and managing your exams. Boston isn’t as big as New York City or Los Angeles, but the streets can certainly get a little confusing. The best thing to do is get to know different neighborhoods and know where you are. You don’t need to have the city memorized, but pull out Google Maps when you’re on a cool street, because you never know where you might end up. Don’t be afraid to venture out past campus. With some time management you can go for a walk around the city more than you would ever think you could. Boston’s ready for you when you are!